In recent times, the hospitality industry has seen a major shift towards holistic wellness. 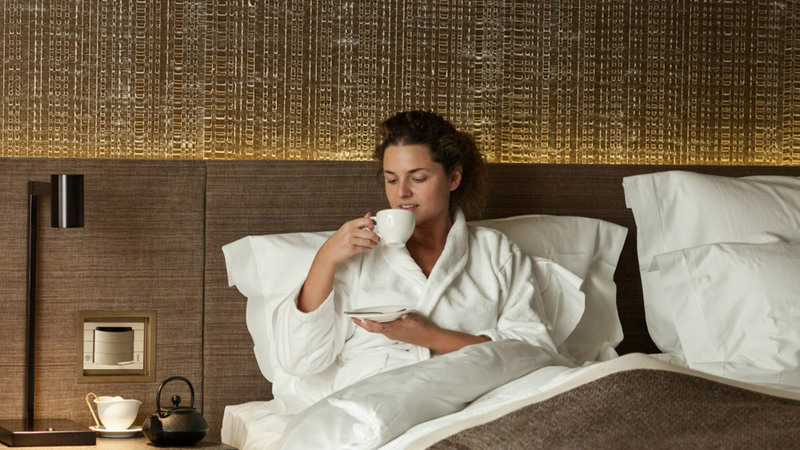 The hotel product concept has been targeted at the spa and wellness market segments. There has been a process of branding and rebranding of the hotel product, focusing on the "health, spa and wellness" theme. Here are some of the major wellness trends that are emerging in the hospitality sector. Spa packages within incentive travel programs; business travel has been a recent trend. There has been an increase in cruise trips themed around "spa and wellness". When building hotel super and infrastructure more emphasis has been put on environmentally friendly architecture, energy-saving facilities and systems, the use of the natural material in spa centres, such as leather, stone, wood, architectural designs matching the natural landscape, etc. There has been a steady rise in developing an eco-friendly spa and wellness hotel product, including the construction of hotel complexes meeting all criteria of low impact on the environment and achieving harmony with it. This often includes the introduction of alternative methods for the cure and maintaining physical well-being, of recreation, recuperation and rejuvenation therapies using local resources, as well as treatments, even food diets focusing on the use of natural products involving minimum, even zero consumption of electricity and chemical substances. The hotel spa and wellness product are closely associated with the spa destination product. This leads to a new trend of hotel offers reflecting the local identity of the destination, unique natural resources, mineral waters, curative mud, climate, etc. In addition, this is providing new benefits and experiences for holidaymakers communing with the local environment and culture. Spa and wellness centres have increasingly been offering educational programs promoting a healthy way of living, health prevention, fitness programs, healthy diets, detoxification, etc. Another trend in the offers of modern hotel spa and wellness centres is programmed featuring exotic rituals and ceremonies, as well as extensively introducing eastern methods for the cure – Chinese, Japanese, Indian, etc. According to a number of surveys, massage has remained the most popular service in all its varieties. The modern spa and wellness hotel product aim at achieving product unity in all its elements. This means that not only the state-of-the-art facilities of the spa and wellness centres but also modern furnishings in the hotel rooms will be in sync. Restaurants have started offering organic, vegan and gluten-free menus, appointing special concierges ready to give guests advice and information on the spa and wellness packages, spa programs, rentals of sports equipment and facilities, etc.